Brokerage firm Jefferies has released a report on the Apple iPhone 5 and expects the device to offer up a 4 inch screen with a higher DPI (dots per inch) resolution. The report says that the handset will be 20% thinner than its current model. Recent speculation about the next iteration of Apple's iconic smartphone has included talk that it would include liquid metal components and be launched sometime between June and October. Almost everyone claiming to know some inside information about the next Apple iPhone claims that the phone's screen has been bumped up to 4 inches in order to compete with the larger screens on Android models. Investors have different concerns about the Apple iPhone than fans of the smartphone have and according to the investment house, it won't make a difference to the stock of the tech titan when the iPhone 5 launches. Research from Jefferies analysts call for Apple to ship 15 million units of the new iPhone in the third quarter of this year with 50 million phones expected to be shipped in Q4. "Beginning in September, Apple will have more than 175 million iPhone subscribers globally. Assuming a two-year replacement implies a base case of about 20 million iPhones a quarter," says Jefferies. The brokerage house says that demand for the Apple iPhone could expand if Chinese carriers DoCoMo and China Mobile add the device to their respective lineups in the fourth quarter. If that happens, another 10 million units could ship in that three month period. Taking that into consideration Jefferies report says, "Consensus' expectations for 20 percent smartphone market growth implies another 15 million units. We therefore expect Apple to beat estimates in Q4 (and in Q3, should it launch in September)." 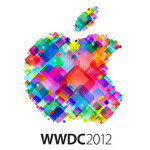 Apple recently sold out its annual WWDC which will take place in June. At the conference, besides showing off the 6th generation of the iPhone, Jefferies expects Apple to announce iOS 6 and an iCloud update. The latter will supposedly match the syncing functions of Google Drive while iOS 6 is expected to have a focus on video. As for the phone itself, so far we have seen pictures allegedly of the home button on the new device. Other design changes that have been bandied about include the possibility of a smaller dock connector for the next Apple iPhone. We should see LTE connectivity on the phone for the first time, and there still is the question of which processor will be driving the phone. Since we can't count on a prototype to be left on the floor of a bar every year, the design of the phone will probably be left to everyone's imagination until we get closer to its introduction. Despite recent talk from Forrester Research about an upcoming decline for Apple, the company recently blew away analyst's estimates for its fiscal Q2 and shipped a higher than expected 35.1 million units of the Apple iPhone in the latest three month period. why does it need to be thinner? Dude the iPhone is really thick and heavy and has only a 1400 mah battery. The Droid razor maxx is about1.5 mm thinner i thinner I think but has a 3300 mah battery. Exactly it's glass,and steel... Not plastic. the razr is also a lot longer and wider though....If apple can release a 4" screen with a good size battery, 4g and high rez screen, I may be back on the apple bandwagon, although the sgs3 is looking very tempting based on rumors. 1/3 of an inch (.33) is as low as I'd go. You realize there are phones out that are less the 8mm already? and that is what 1/3 of an inch is. So we're already there. 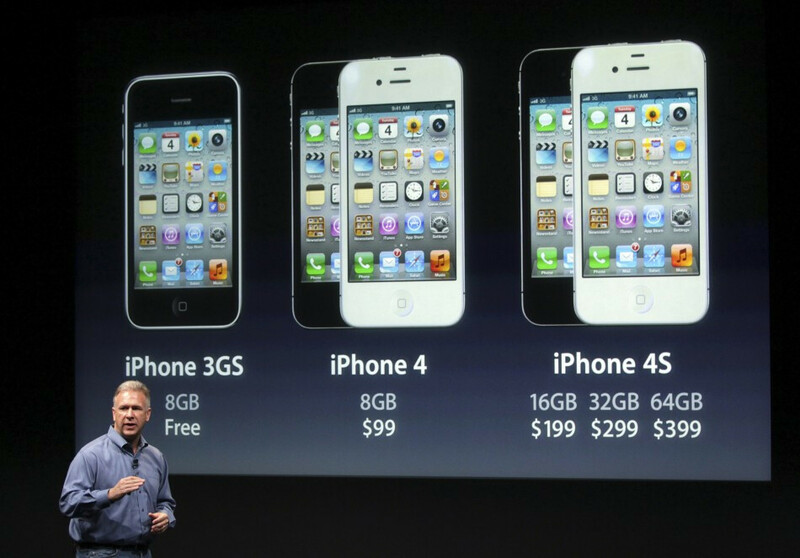 well, imagine the 4s bulkiness on a 4 inch phone. it would be a piece brick! It wouldn't be any thicker than the 4s. Instead of making it 20% thinner, just make it the same thickness, with a bigger battery. I also think the thinness push has gone too far. I'd gladly keep the same thickness for an extra couple of hours of battery life. Shrink the rest of the components, grow the battery. I've never heard anyone until now say an iPhone looked cheapwowwwww. All premium glass, and stainless steel. Ur entitled to ur opinion tho... Gotta respect it. well its glass and it feels premium? lol brainwashed sheep, it feels so fragile and weak! I guess that's why nice hotels use plastic dishers and silverware right? haha lol id*otic comparison,, only brainwashed sheep would like a glass on the whole body of a "gadget" esp. a "PHONE"
Yes, since glass is such a nice material we should use it on cars too right? Since it looks so good and anyone who doesn't take care of their car, gets into an accident and the car gets shattered totally deserves it right? People like you should not be allowed to breed, you sound like the 5 year old kid at my mom's kindergarten who tried to argue why we can't build houses out of biscuits. But at least the kid is 5 years old, what's your excuse for being stupid? The iPhone may be built very well. But he does have a point there. Glass and steel are premium, but that doesn't mean glass is durable. Certainly not cheap, but the iPhone can crack pretty easily if you drop it. & almost everybody that has an iPhone has a case with it. While you guys argue I was hard at work crunching some ridiculous numbers! And if the new iPhone is 20% thinner than the iPhone 4s, it will be approximately 7.2 mm. That would be pretty sweet. And for me it's really not that fact that phones are too thick for me now. It just adds to the design when a phone is thin. Just a little offtopic: about that theory that SJ wanted to keep 3,5 inch screen because it can be operated only by one hand - it's not valid. iPhone was imagined as the device for operation with two hands - it's main innovation was two-finger pinch zooming for pictures and web, and that must be done by using two hands. Saying it was meant to comply to one hand is a little be stretched then... About 4-inch screen - I wonder what resolution it will be - will they make above 500 PPI screen with 1920x1280 px or finally change the aspect ratio? Idk about everyone else, but I find it fairly easy to pinch zoom with one hand. I wouldn't consider my method ideal but very functional. But I agree... Jobs was sadly mistaken thinking that 3.5 is the best size. I laugh at anything below 4.3" these days. So glad samsung introduced me to the Note! I can't go smaller anymore.